Trading Stocks is becoming an alternative career for many people. It offers a variety of opportunities and advantages that working for a corporation does not. The first step in learning how to trade stocks successfully, is to understand what you need to do to trade a stock for short term profits. This requires finding a stock that is poised to move up in price, but that also has what is called a “low risk entry.” What is meant by a “low risk entry” is how the price has moved in recent days. There are patterns in a stock chart that tell you, when a stock is ideal for buying with a low risk. You also will need to learn how to read a stock chart with accuracy. A stock chart is merely a historical set of data that shows how the price moved, and how many traders or investors bought the stock during that period of time. How to trade stocks successfully means you are able to read the stock chart correctly, which will tell you which Market Participant Groups were buying the stock, and this is critically important information. 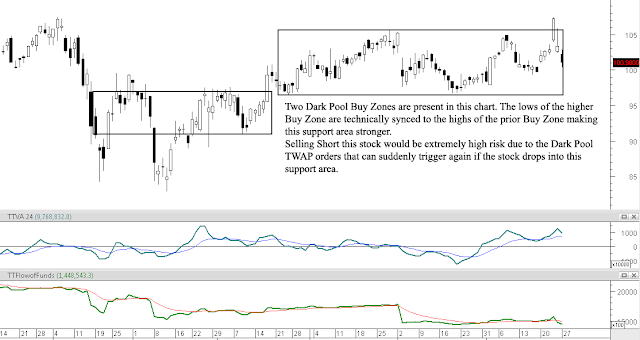 Below is a chart that is showing what is called a “bottom,” or when a stock stops a Downtrend. This is when it begins a recovery returning to moving in an Uptrend, which is what traders want to trade for short term profits. The stock chart also shows resistance, which is where the stock will either stop moving up and move sideways, or retrace which is a brief period of price moving down. Stock charts do not predict what a stock will do. 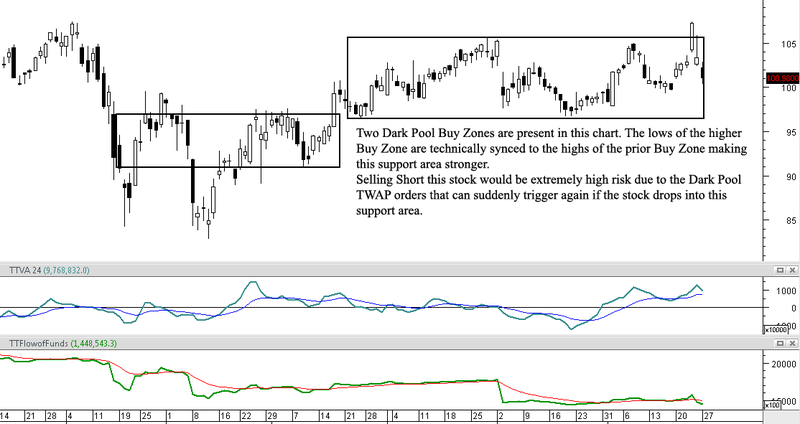 However, they are a necessary and highly useful tool when considering a stock to trade. Certain patterns will indicate that the giant Buy Side Institutions using Dark Pools are buying giant lots of the stock in an accumulation mode. They want to buy millions of shares of a stock to put into their portfolios, to create the Mutual Funds which individuals invest in. However as an example, they cannot buy 10 million shares of a stock all at one time. So using the Dark Pools they buy the stock in increments over an extended period of time, and this creates a specific pattern on the stock chart. When you see this pattern, it is time to buy the stock for a short term trade because the Dark Pool buying creates an underlying energy. They are pulling so much liquidity aka stock from the market that it alerts Professional Traders and High Frequency Trading HFTs firms, which quickly move the stock up in a fast momentum run. When you understand why certain patterns form, who is controlling price, and how to calculate the best entry for the lowest risk then trading becomes easy and fun. Learning how to trade the Stock Market does require a solid Stock Market Education. If you want to be trading quickly for extra income or as a career, then you need to take a Stock Trading Course. If you want to try to learn this all on your own, be aware that most people spend 5 -10 years attempting to do this and many thousands of dollars in “hard learned lessons and losses” before they may get it right. That all adds up to a lot of wasted opportunity, time, and money. There is a lot to learn but you will find it fascinating, inspiring, and amazing. In learning how to trade stocks successfully by taking a course in Stock Market Education, you will be opening a door to a whole world that you had no idea existed. I invite you to watch a Video or download an eBook about beginning trading at TechniTrader.com HERE. Sign Up for full access.